But back to the purpose of this blog. 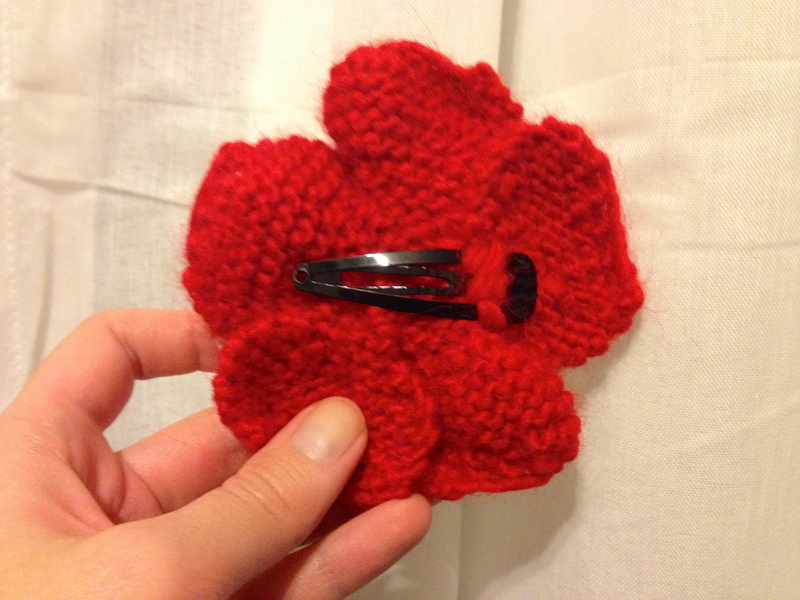 Tonight’s craft is a knitted a flower hair clip! 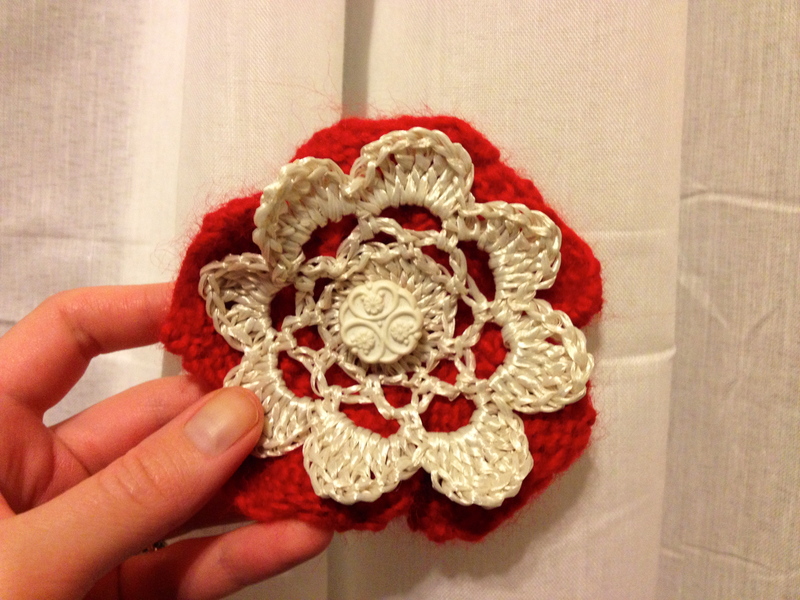 I got given a bunch of the crocheted white flower bits from one of my mum’s craft friends, and I periodically knit flowers to go behind. Add a vintage button to hold it all together and a hair clip on the back, and you’ve got yourself a great hair piece.